For my weekly installment of weird vintage items I own, here is my vintage clothespin bag. I believe this is from the 1940’s. It looks like it was made from a actual child’s dress, but it was from a pattern that was popular during that time period. 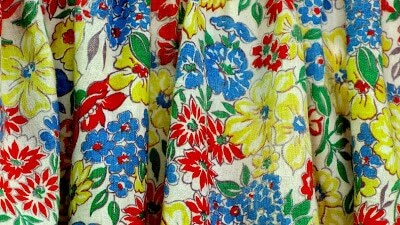 The fabric is somewhat faded, I assume from having been hanging outside in the sun in the 1940’s. From the back you can tell it’s a bag made to look like a dress. Yep, there’s actual clothespins in there. Now, even though I had it hanging outside on our clothesline for better photos, it is normally hanging in my laundry room. The clothesline outside is just for hanging beach towels and bathing suites, I haven’t actually hung laundry out there. Ever. Yep my Mum had one! A clothes peg apron too! How cute! 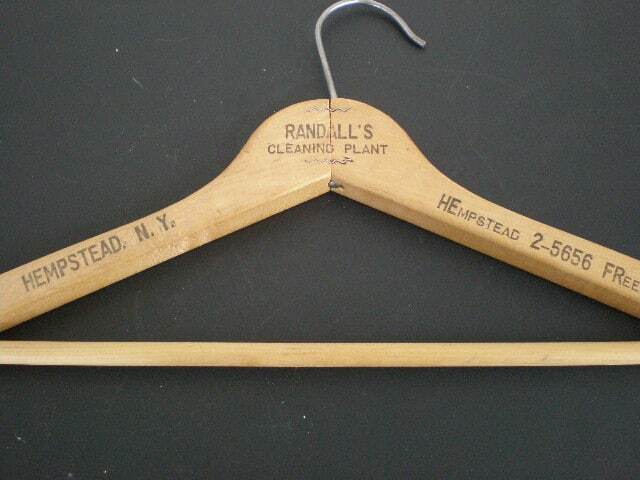 Good luck finding the vintage hanger. I can vaguely remember my Mother havin a similiar clothespin bag. The dress wasn’t quite as fancy on her, but then my memory isn’t what it used to be. I hope you find your hanger. 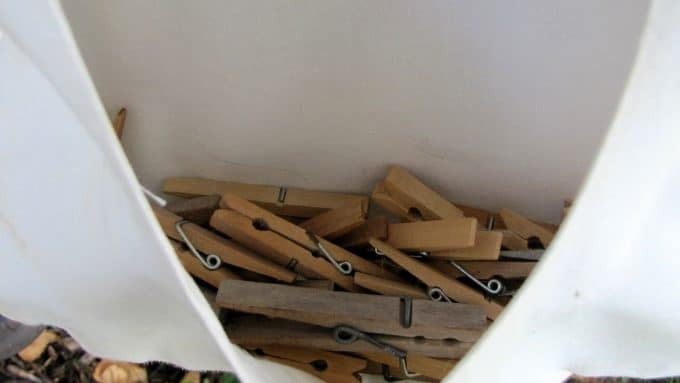 I love your clothespin bag. That’s the second one on VTT today! I have used many of these. It has been a long time since I have seen one. It was nice that you brought back a long forgotten memory. Right after I wrote you on email I found you on the party! This is so cute~ do you think this was feed sack maybe, too? Thank you for stopping by! I love this clothes pin bag. 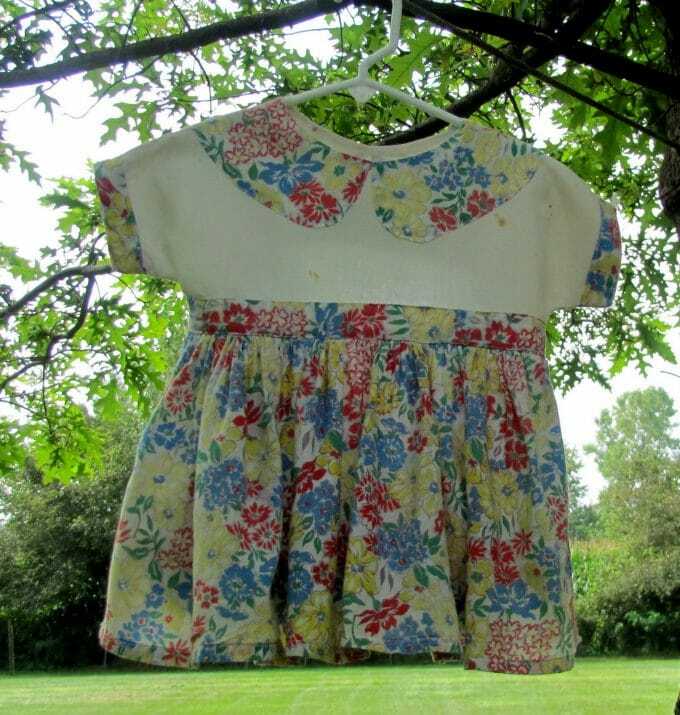 I never hang anything out either, but just last week i washed my bedspread and hung it on the line and when i put it back on the bed the whole room smelled wonderful, like the outdoors! It reminded me of when I was a kid! Adorable! I’ve seen photos of similar dress clothes pin bags but never one as lovely as yours. You’re very lucky to have this. 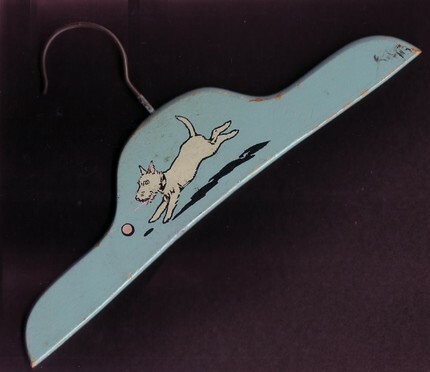 And I just saw that blue doggy hanger on another blog the other day – hmmm, I can’t remember where though!! I’ll have to see if I can find it again!! 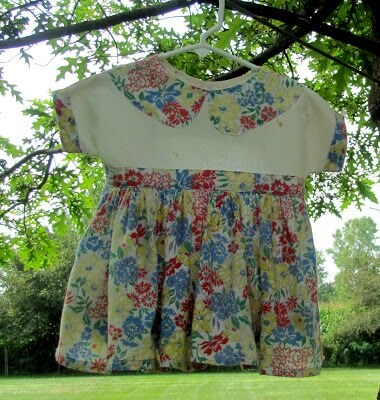 Vintage Whimsy – thank you!!! I will see if they are selling their hangers. I love the little blue dog one too. Oh, how cute. I sure didn’t know that. Oh wow, Pam, that hanger matches the set I just sold! Rats! But I LOVE the little clothespin bag. How CUTE! 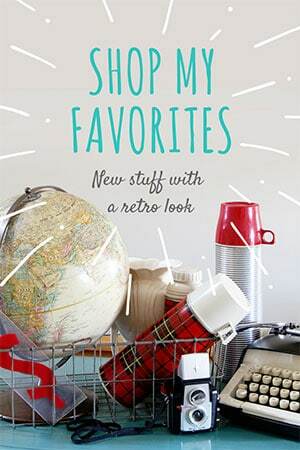 Thanks so much for visiting today…I’ll have to try the Vintage Thingie Thursday! Well hi there! I’m not doing the VTT this week been to busy but happened to look are the blog postings and saw yours. 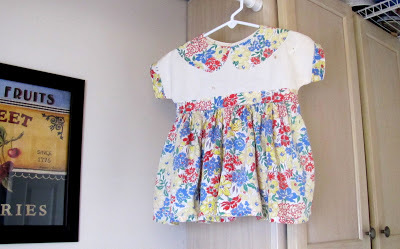 Darling little clothes pin dress, wouldn’t you love that old pattern to make one? 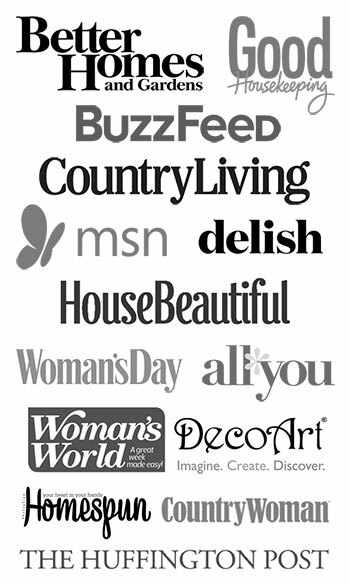 Thank you for sharing, I think I need to become a follower on your blog, its just darling! I have a one a lady from my church gave me for my “hope chest”. 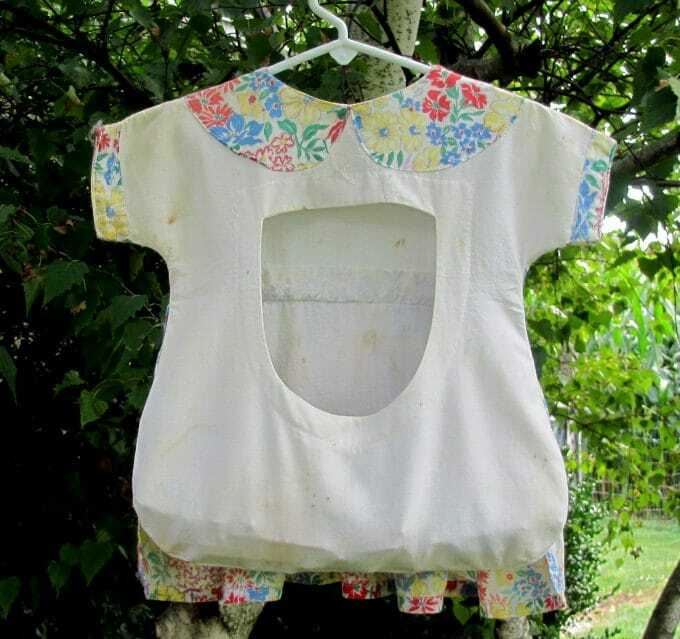 I use it in the laundry to hold plastic grocery bags!